Ultrabar railings are a multipurpose fencing system which can be used in almost any application from school perimeter fencing to general commercial boundaries. Through cold roll forming technology, we have developed UltraBAR™ a unique raking joint system. Secure and flexible it offers installers the desired angle instantly. The UltraBAR™ system is the lightest and most adaptable currently available – developed for ease of erection and supplied in pre-assembled panels that simply bolt into place. 30° of rake for straight railing systems. Allowing railings to be installed in the most awkward area without the need for stepping. 20° of rake for the bow top applications. Supplied in pre-assembled panels, UltraBAR railings are easy to install. Lightweight, they can be easily adapted to fit awkward areas. Decorative in appearance, these bow-top railings are very versatile and suit a range of public and private spaces. 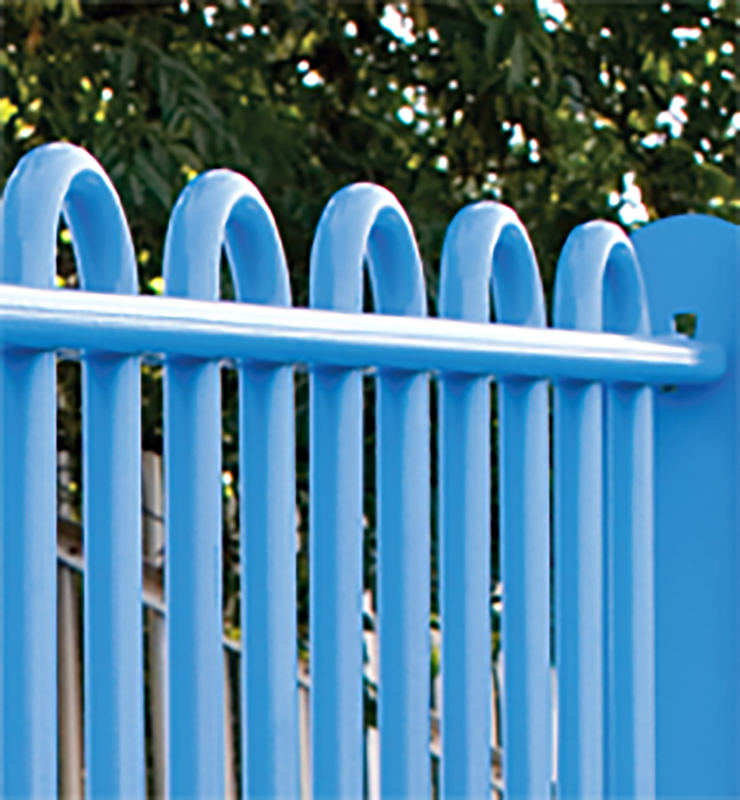 UltraBAR railings are recommended for use at nurseries, schools, parks, playgrounds and other recreation areas. They are also suitable for general residential and commercial properties, and public utility sites. 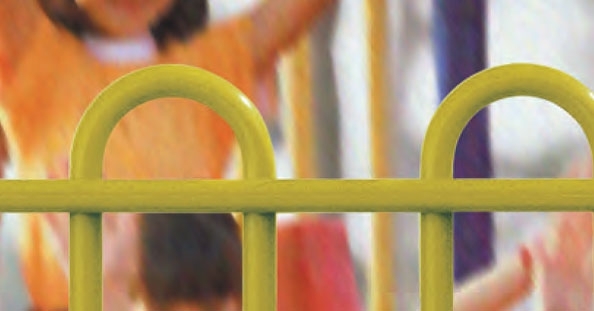 UltraBAR™ is the ideal Bow-Top railing system currently available for children’s play grounds. Also suitable for school perimeters. Traditionally styled, cost effective railing systems. Aesthetically pleasing and blending easily with local architecture, UltraBAR™’s balanced uprights and rails make it an ideal choice for urban regeneration. For boundary applications that are secure and easy-on-the-eye – an architects’ favourite.